Business telephone providers: What can they offer my small business? Business telephone providers have a range of products and services that can significantly improve the operation of your small business. Outside of their initial offering of helping you call customers, clients, and suppliers, business telephone providers can provide a range of specialist services – often very specific to your needs as a business owner. Not just issuing physical handsets, software and accessories, a good phone provider will also manage the installation setup process – while offering valuable expertise and experience throughout the duration of your contract. There a number of UK business phone providers that you can choose to work with, and many of them offer benefits and plans that may specifically suit your operations. It is important though, to find the supplier that is best for you. Understanding what your business telephone service provider includes is important. Do they offer packages? Do they have specific plans suitable to your business? Can they provide equipment and services that match your needs? Choose an option from the table below to re-read a section or find out more. 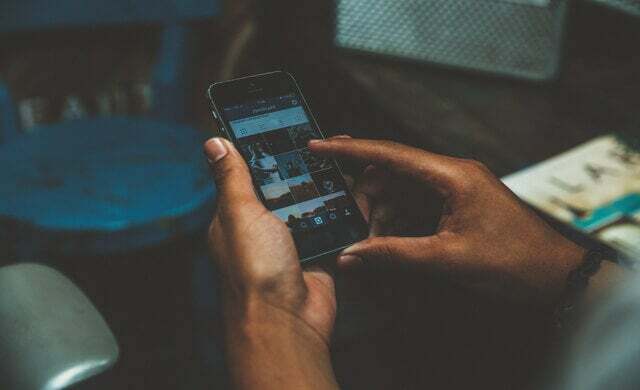 Before buying a business phone for your small firm, you’ll need to carefully consider not only your current needs – but also what your enterprise may require in the near future. While there’s no point in overloading on equipment early on if you have no new hires in the pipeline, a balanced yet optimistic overview of your business activity for the coming years should ensure you don’t end up paying lots of money for idle tech. Tip: To accurately assess what business phone services your company may need, imagine a typical month at your office and then consider the best-case scenario over the next three years. Considering scalability is vital if you want to purchase a business phone package that will serve your requirements for as long as possible. Once you’ve worked out what type of calls you likely be making, how often this will be, and where your phone will be located, you can start considering what business phone services will best suit you. While the differences between some of the options might be clear – a business mobile, for example, is clearly different to a landline. The difference between VoIP and a multi-line system, may be less clear. Visit either page linked below to find out even more information, or speak to a supplier today by completing the form at the top of the page. Landline: Very self-explanatory, if your business chooses to solely use a landline for its calls, you’ll gain all the features you have on your home phone, but nothing more. Most home phones will allow you to make multiple calls at once, via the help of cloud-based conference call software. However, most providers will bill these as separate calls so you’ll most likely incur high charges – particularly if some recipients are overseas. 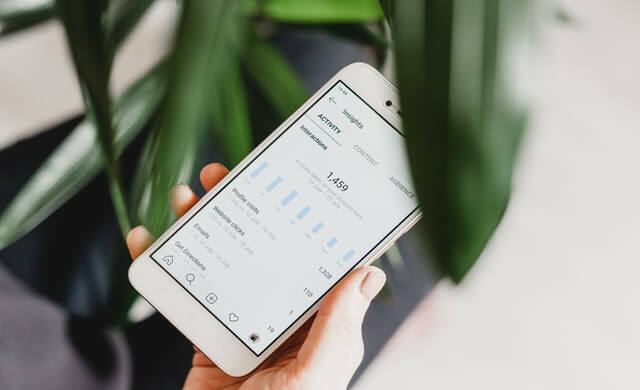 Business mobiles: Commonly referred to by business owners as their ‘work phone’, a business mobile is a regular mobile phone – but with all bills paid for by the business. An obvious benefit, particularly for a small firm, is that the phone can passed around between employees as and when they need it – and used outside of the office. Popular brands targeting the business mobile space include Microsoft Lumia, Blackberry and the Google Pixel. Multi-line system: Also referred to as switchboard systems, multi-line systems allow you to condense multiple phone lines into a single device – allowing you make, receive and transfer multiple calls from a single desk. Very user-friendly, multi-line phone systems operate in the same way landlines do. Sip Trunk phones: Standing for session initiation protocol, Sip trunk phones allow you to make calls using your internet connection. Containing elements of VoIP, which we explain below, a SIP trunk connects your business to an internet telephony service provider (ITSP) and allows you to make multiple calls at once in a very cost effective manner. 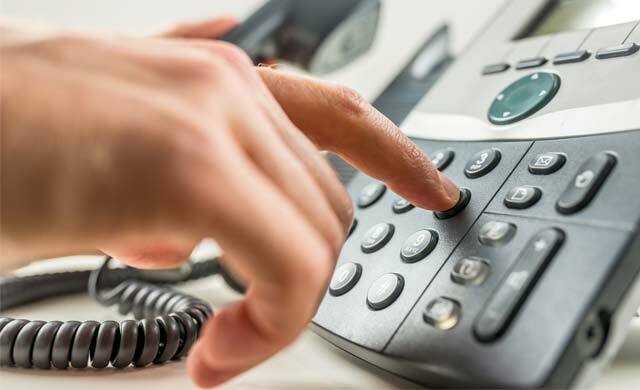 VoIP phones: Once again, using your business’s internet connection to host calls rather than through traditional analog signals VoIP allows for both video and voice chat. A big benefit for businesses: calls are essentially free, even international ones, once your broadband or mobile data plans are paid for. Furthermore, VoIP can allow you to make calls to remote staff members via their notebook PCs or tablet. However, initial setup for VoIP can be expensive and calls to other businesses are only free if you’re both using the same provider. Business phones require and offer a range of features to help your staff operate as effectively as possible. In the table below, you can find out a little bit about some of the features you might have included with your business phone system. Automated call forwarding – Automatically transfer calls to your business phone to a different number at any location. Can be very useful if you are expecting an important call to your business, but are out of the office or even on holidays. Conferencing – Use conference calls to speak to people off-site, without issue. Conference calls can be popular for team meetings with off-site staff members or for calls between your sales team and relevant clients. Automated attendant – Also known as a virtual receptionist, an automated attendant allows callers to be automatically transferred to an extension without the intervention of an operator – while also informing callers of how long they can expect to wait until their call is answered, what hours you are open for business, or even directions to your office. Dashboard – A dashboard allows you to manage your office phone system from one unified interface or programme, with access for all staff, dependant on what their needs are. Some dashboards also allow you to integrate all your communication channels, so you have control over your voicemails, emails, SMS and fax messages at one touch point. 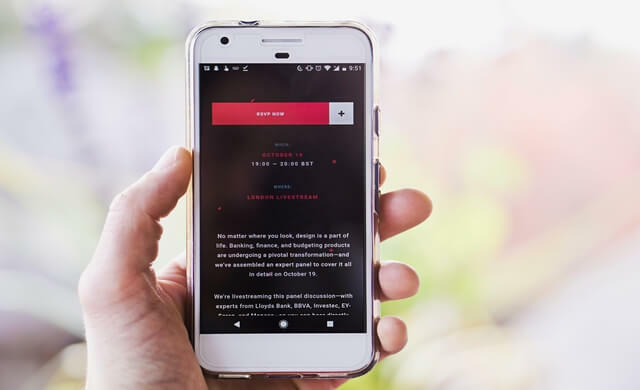 Voice to email – Converting voicemails into a readable email that gets sent straight to your inbox, this feature allows you to sort and scan through missed calls and voicemails at a quicker rate than simply listening to each message individually. Call logging – Helps you to collect and correlate information from all the calls you receive or make, known as meta-data, which you can then use to help fine-tune customer services, anticipate consumer demand during certain periods, or evaluate various sections of your business. 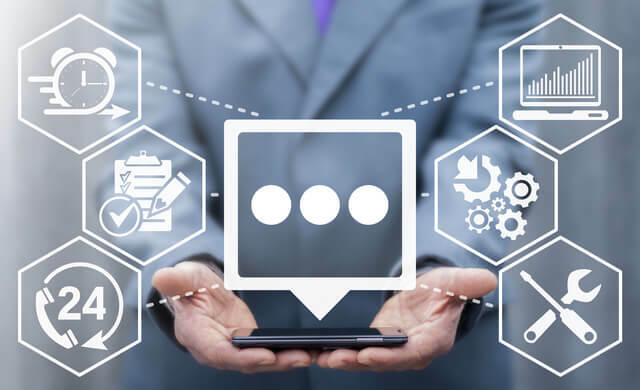 Hunt group – Much like the automated call forwarding feature, in a hunt group, inbound calls are configured so that a group of local extensions ring in unison. Should no one answer from this group, the call is quickly routed to the next free extension until the call is answered. This feature is particularly useful for when you’re waiting on important sales or customer service enquiries or even a client call. Call barring – A standard feature, even on most household appliances, call barring allows you to block numbers from being dialled – as well as blocking numbers from calling you. A good use of this feature might be to block cold calling businesses who are continuously pestering you. Auto dialler – Popular with telemarketers and call centres, auto dialers are used to call multiple numbers at much. Normally this is accompanied by an automated voice which will give the receiver various options to select. If the receiver agrees to press a suggested number, they will normally be then put through to an actual sales or customer service rep.
Headset-enabled – Allowing you work hands-free, provided you have an appropriate headset, headset-enabled phones are a must for sales staff or those in customer services. Microphone muting – Important in a number of situations, muting your microphone so the person on the other end can’t hear you can allow you to delegate in private during a conference call. Hold music –Although a source of irritation for many consumers, studies actually show that when a customer is put on hold, they are less likely to hang up if they are greeted by music rather than silence. For this reason, many businesses choose to play ‘hold music’. There are, of course, other features that your business may want or need. Take a look at the compare section below to find out how to find the best options. While you’ll be aware of phone lines in a very basic way, the chances are you probably won’t know any of the technical detail that defines different options – but this is important when deciding what small business phone line to pick. In this section, we will provide a little more information about how business phone providers can supply, install and manage the telephone lines your business will need. The majority of UK providers, including the telephone suppliers mentioned further down on this page, have deals with major phone line carriers to allow their services to run effectively. This means that savings can be passed on to their customers, but also means that switching suppliers is an easy process when it is required. When new lines are required, or when maintenance needs to be carried out, your phone line provider can arrange for the work to be done through third-party companies like Outreach. Though many people do not know it, there are three variations of the phone line that a business phone provider can offer. POTS (Plain Old Telephone System) lines – Sometimes referred to as the Public Switched Telephone Network (PSTN), these traditional analogue lines let users make or receive one call at a time and provide very basic features such as caller ID and call diversion. 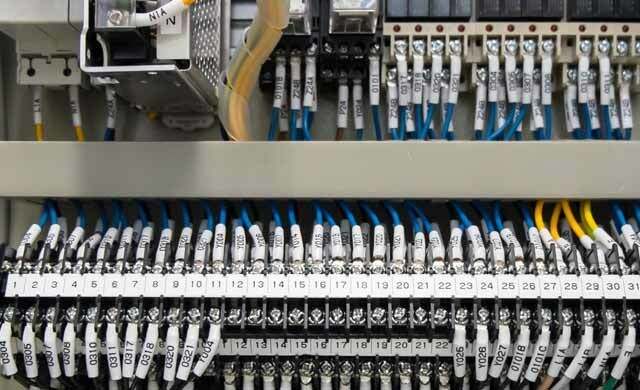 Less common in business environments, this option is the same as those used in houses before the introduction of more advanced lines such as a DLS line. ISDN2 – Integrated Services Digital Network (ISDN) lines allow for two channels to be used at the same time and also allows for data and voice to be transmitted simultaneously. Sometimes referred to as Basic Rate Interface (BRI), ISDN2 lines generally offer higher quality than POTS. ISDN30 – ISDN30 lines have eight channels available through a single cable, significantly improving on both options above. ISDN30 lines offer higher quality than POTS and also help businesses to save space by reducing the number of lines required in total. SIP/VoIP – As mentioned above, SIP stands for Session Initiation Protocol and is the line type for connecting Voice Over Internet Protocol (VoIP) to a phone system – allowing video and voice calls to be made over the internet. Most business telephone providers will be able to offer all three phone line options, but may do so based on certain parameters. In some rural areas, for example, a POTS line may be preferable to VoIP if there are connectivity and broadband issues. Business phone lines, while often overlooked in lieu of the hardware, handsets and accessories in the page above, are integral and essential in any telephone system. Understanding what your business needs, and what providers can offer, is incredibly important. As mentioned already, business telephone service providers do not only provide equipment, but a range of other services too. 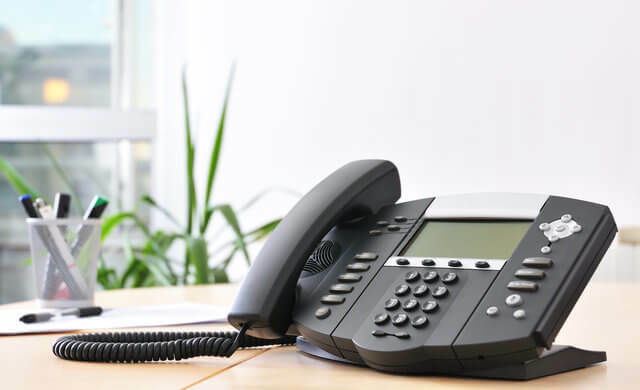 Things like call packages and installation should be considered as part of the overall process when choosing a telephone system for your office or small business. On this page, we have provided information about some of the best-known suppliers in the UK. Some of the providers included offer other services as well as phones, whereas some specialise in this industry specifically. We have only included top-quality providers in our content, so you could feel safe with any; however, as mentioned, you also need to choose a supplier suited to your business and this will be based on a number of factors. If you do need a phone system, then you may also require information about different types or forms – our VoIP phone systems page could be useful in this case. The sections below contain some information about each of the business phone providers compared above. Headquartered in San Jose, California, Cisco is an internationally renowned technology company operating in a range of industries. A major player within the telephone services sector, so an obvious choice for any small business in need of a telephone system, Cisco produces and sells both hardware (such as the physical handsets and telephone devices) and software (such as data and analytics tools). Specialising in IP, VoIP, and SIP telephones, Cisco offers business telephone services to suit a huge range of different needs; from handsets to accessories, onto extra services and plans. As well as the telephone equipment above, Cisco also offers other products, including: switches, routers and firewalls. Additionally, it can provide businesses with pre-selected business phone system packages. Cisco offers a range of phones to match various different budgets so that even a start-up, without the capital of a larger more established firm, can provide their staff with the equipment they need. In this section, we have only compared three Cisco business phones and these have been selected to provide an overview of the range options available. Take a look now or, for more details and tailored information, click the compare now button beside each phone. BT is a well-known and popular telephone product and service provider operating from the UK. With years of experience in the sector, it has amassed a large number of clients. Offering a range of hardware, such as handsets and accessories, BT can also provide businesses with software, such as VoIP and broadband services, as well as plans to match exact specifications and requirements. Like other providers on this page, BT sells a range of phones that operate in various ways. Knowing which is most suited to your business can be difficult, which is why it is important to spend time to find the option best for you. In this section, we have only compared three BT business phones – to given you an idea of its general offering. To find more details or to receive a quick quote, click the compare now button beside each phone. Founded in 1998, Gradwell has supplied communication solutions to over 22,000 UK businesses since inception. As well as providing hosting services, domain names, gateways and routers and broadband, Gradwell provides VoIP and hardware services by working with manufacturing brands such as Snom, Yealink, Panasonic, and Gigaset. Despite not manufacturing the phones themselves, Gradwell sells a wide selection of handsets which can be purchased as part of a wider package or individually. To help you in your quest to find the perfect phone for your business, we’ve selected a small range of phones Gradwell can provide – with varying degrees of features. For example, the Snom D305 is a basic handset, while the Konftel 300IP SIP Conferencing Phone No PSU allows you to hold conference calls without needing to worry about network points or power sockets. Headquartered in Belmont, California, but with offices around the world and an EMEA HQ in London, RingCentral offers various forms of telephone hardware and software products and services. It can provide and install both VoIP and PBX phones, and can even offer analogue services where they are provided. Similar to Gradwell, RingCentral don’t manufacture their own telephones – but do provide businesses with a wide selection of handsets from brands such as Polycom, Cisco and Polycom – which can be bought on a one-off or included within a package. Having sold everything from soft drinks to train tickets to space travel, Virgin also provides small businesses with telecommunications technology such as phone lines and broadband. However, unlike some other providers on this page, Virgin does not produce its own hardware, such as handsets and business phones, so requires partnerships with other companies to offer some of the solutions that others design and manufacture internally, but which it doesn’t. While you can buy business phones from Virgin, manufactured by the likes of Cisco and Polycom, this is a more expensive option as Virgin does not specialise in this area and may not be able to offer the expertise that others in the sector can. So it would make sense to buy a handset first, and then seek Virgin’s software and broadband services. The information on this page should help you to understand what sort of telephone hardware and software options are available. For more information on products and services though, you should speak to suppliers – we can help with this process. To speak to suppliers today, you simply need to complete the form at the top of this page. Once this is done, we can put you in touch with up to four top UK providers that can offer you the best deals possible. This comparison process is free, quick and easy, and it could save you both time and money.